musical talents are like a fantasy football team in the form of a rock band. Raiding the Rock Vault is a new show and super group made up of true rock and roll veterans from several internationally known groups. RTRV is now In Vegas for a one year run at the Las Vegas Hotel in none other than Elvis' former theater. The show pays homage to the best classic rock spanning just before the Vietnam era all the way to Desert Storm, (when music changed and "grunge" entered the mainstream). The fantasy playlist includes The Who, Led Zeppelin, Free, Toto, Journey, Van Halen, AC/DC, Jimi Hendrix, The Doors, Foreigner, Queen, The Rolling Stones, and more....along with live scenes and colorful multimedia depicting our country's history of classic rock. 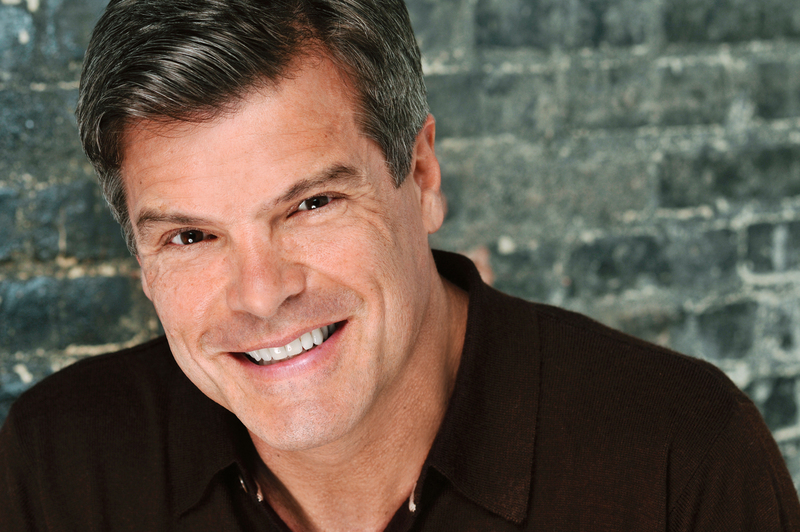 All of this in combination with these industry pros is truly a perfect musical storm. These guys collective musical and life experiences performing with major bands, include years on stage, on the road, in small clubs, arenas and festivals worldwide. Some of them while going up the ladder of fame, some down again, back up again, and everywhere in between. Personal struggles, marriages, divorces, kids, addictions, recoveries, some losing their way, then finding a new way, seeing things they'll never forget, (some they can't even if they want to).....and now they have found themselves part of an exciting new Vegas attraction, which after just a few weeks is creating a major buzz. Part of this is because what they give to their audience is real, imperfect, beautiful , and everything that is true "rock and roll". For me, this show tapped into my inner wild child where the past few decades of my life flew through my mind like my life flashing behind me lost and buried somewhere in my vault. The one where we store that crazy, youthful, slightly rebellious but hopeful part of ourselves that gets buried in all of the layers of adulthood. It was a real rush to bring it all back out again for a few hours. The rest of the audience caught it too and the whole night was like an awesome house party where all the best people show up and it just gets better and better! Robin McAuley, Irish rock vocalist known mostly for his work in McAuley Schenker Group, Survivor, and Grand Prix. John Payne, Vocalist, bassist, guitarist, songwriter and producer John Payne has fronted ASIA for 14 years replacing John Wetton in 1992. Previous to ASIA, John sang with Roger Daltrey, CCCP and ELO Part 2. 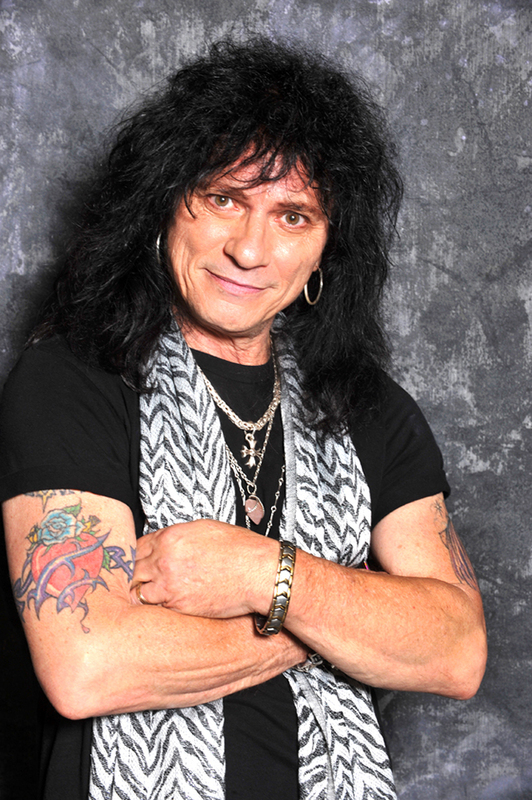 Paul Shortino, Rock singer and musician who has sung with Rough Cutt/The Cutt and Quiet Riot. 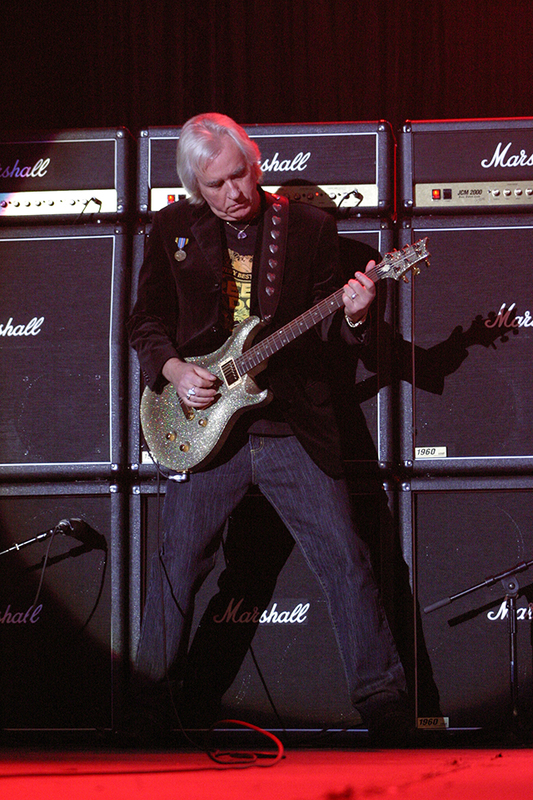 Howard Leese, Best known as Heart’s guitarist whom he played with for 22 years. After leaving he immediately became the guitarist for The Paul Rodgers Band/Bad Company. Tracii Guns, Guitarist best known as the founder of glam metal group L.A. Guns and in the first lineup of Guns N’ Roses. He has also been a part of the super groups Brides of Destruction and Contraband. 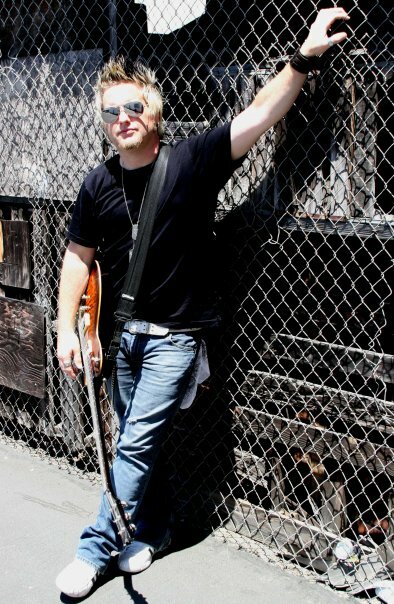 Andrew Freeman, Vocalist and Guitarist who has played for a number of bands and legendary musicians. Most notably for The Offspring and Lynch Mob. Jay Schellen, Drummer best known as a member of Hurricane, Asia, World Trade, Circa, Unruly Child and several members of Yes. 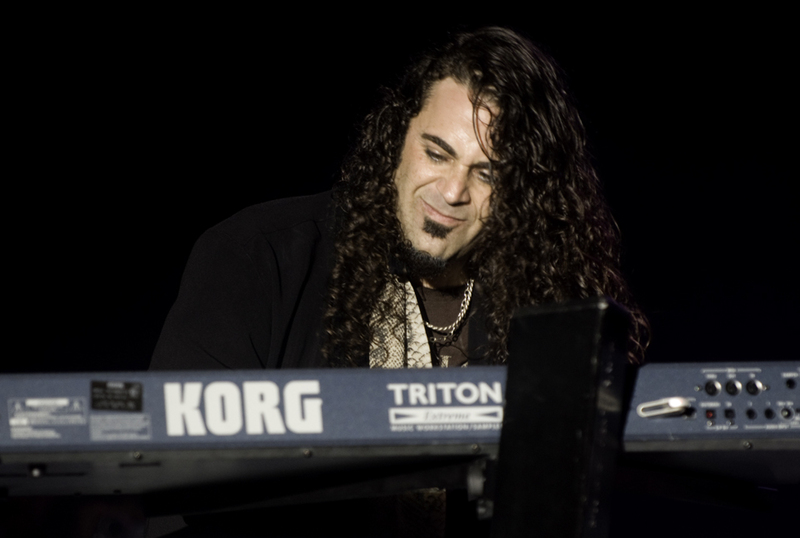 Michael T. Ross, Rock Keyboardist best known for being a part of the bands Lita Ford, Missing Persons, Hardline and Angel. There are also actors and dancers in the show who enrich the experience but are not credited anywhere in the program or online. Fellow underdogs, respect to you! Written by esteemed Grammy Award-winning record producer David Kershenbaum (Joe Jackson, Tracy Chapman, Supertramp) and musician, producer and vocalist John Payne (Asia), “RAIDING THE ROCK VAULT” features timeless gems translated on stage live and loud by an all-star band comprised of Howard Leese [Guitar] (Heart, Bad Company), Tracii Guns [Guitar] (LA Guns, Guns n’ Roses), Robin McAuley [Lead Vocals] (MSG, Survivor), John Payne [Lead Vocals and Bass] (Asia), Paul Shortino [Vocals] (Rough Cutt, Quite Riot), Jay Schellen [Drums] (Hurricane, Asia), Andrew Freeman [Lead Vocals and Guitars] (Lynch Mob, The Offspring), and Michael T. Ross [Keyboards] (Lita Ford, Hardline, Angel). In addition, Special Guest Artists will join show from time to time. Confirmed for March are Bobby Kimball [Lead Vocals] (Toto) followed by Joe Lynn Turner [Lead Vocals] (Rainbow, Deep Purple). The history of rock ‘n’ roll will come to life when this one-of-a-kind, rock concert experience kicks off a year-long run Saturday, March 9th at the LVH – Las Vegas Hotel & Casino. Most of us instantly recognize the first few notes of songs from many Academy Award winning films. The melancholy longing of Moon River as Audrey Hepburn's "Holly Go Lightly" stares into a Tiffany window display after a night out, not wanting to go home. Somewhere Over The Rainbow where Dorothy dreams about a world far beyond her Kansas farm. The first few notes of the theme song from Chariots of Fire has played through everyone's head at one time or another.....instantly recognizable and quietly uplifting. Many of these beautiful compositions were brought to life by the Las Vegas Philharmonic last Saturday night at Reynolds Hall at The Smith Center for the Performing Arts, their resident venue for a year now. It was a one night only event. I like these. They can be very special because there is certainly no trace of monotony in the performance like there can be in long running shows. This orchestra did not disappoint! A few of the members of the Las Vegas Philharmonic. Courtesy of Jennifer Scott. For me, two of the best of the night were Let The River Run, from "Working Girl", and the Theme from Rocky, (every underdog's victory anthem). I forget how amazing this composition is on its own even without the visual of Sylvester Stallone running up the steps of the Philadelphia Museum of Art. However, the tears came quickly to Unchained Melody and My Heart Will Go On, thinking of the recent loss of my mother, and my father's daily struggle to carry on without her as the date for their 50th anniversary approaches. Nat Chandler and Teri Dale Hansen rounded out the experience with superior vocals. The songs varied greatly in style and era, and on top of that Reynolds Hall is huge, so that's no easy feat! 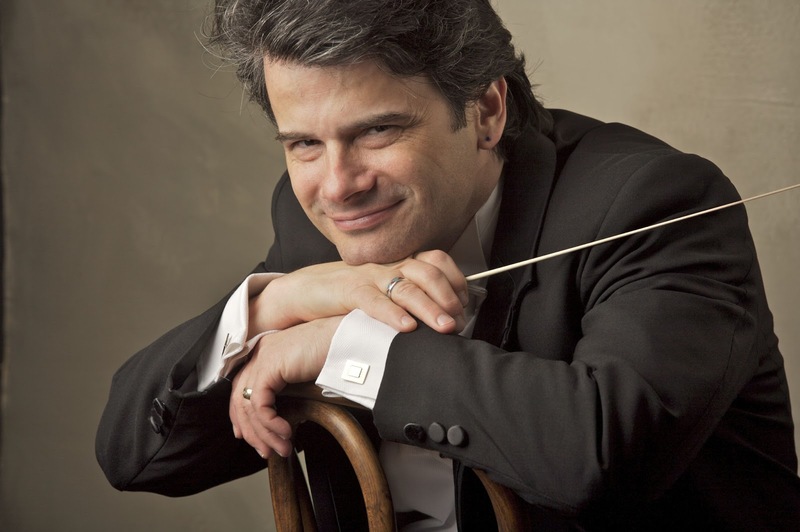 The final event of the Las Vegas Philharmonic season is "Celestial Bodies", May 4. On July 4th, 1998, the Las Vegas Philharmonic launched its classical music presence in Southern Nevada, bringing a refined new cultural dimension to the city. The presentation of five Masterworks Series concerts and four Pops Series concerts in Reynolds Hall at The Smith Center for the Performing Arts October 2012 through May 2013 will be the orchestra's first full season in the new venue, which opened in March 2012, as its resident orchestra, and connotes another important milestone in the continued growth of the organization. A full scale production of Oklahoma!.....and an iceberg. What do they have in common? 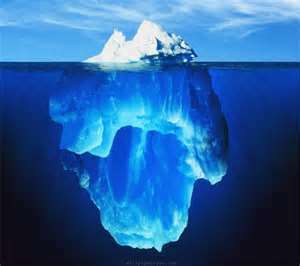 .....that there is a lot more going on behind the scenes than what you see before you! ﻿Recently I saw a superior production of Rodgers & Hammerstein's Oklahoma!, held in the Lowden Theater for the Performing Arts, in Las Vegas. This professional production stars the students of Las Vegas Academy in association with Academy Dance, Vocal and Instrumental Music. Having been an LVA season subscriber for three years now, I have seen a lot of their work and can say this group can hold their own on any stage. However, this was by far the best I have ever seen from LVA. What made it so? The flawless choreography, powerful direction, orchestra, certain stand out actors, all of these. But something more......harmony. The entire cast and crew, blended into one "live" unit, taking all on a journey beyond each of them, in an evening of theatre at its best! company working together as a cast and crew to bring that vision to life. As I said above, the direction and choreography were outstanding. My stomach did little flips during some of the numbers, like the dream ballet sequence. 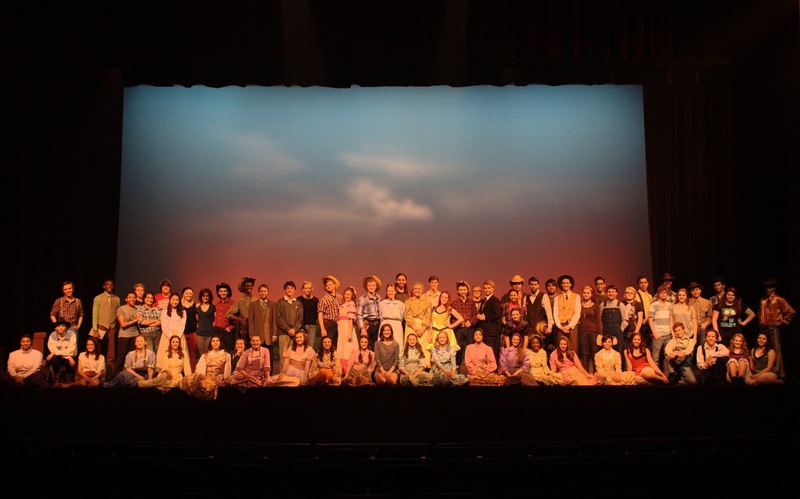 When reviewing the playbill I was reminded how many students/crew members were involved in the execution of this successful show, and that a production is made up of so much more than the cast members on stage. All members of the production are essentially, the "cast". Any mistake or missing element by the crew and production team can take audience members out of it, out of the moment, and ultimately of the experience, such as bad lighting, hiccups in sound, costume issues, errors by the actors, anything not in tune. A playbill like the one below also informs others as to how many opportunities there are to work in so many different areas of theatre. All productions need sound, light experts, electricians, costume designers, carpenters, publicists,...the list goes on and on. Bravo to LVA for keeping this 70 year old American musical alive and well! Labels: Las Vegas Academy, Oklahoma!